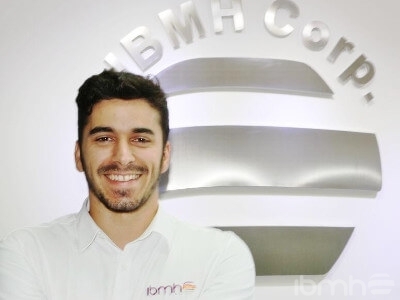 Please meet IBMH China brand new and enthusiastic salesman, Eduardo Marqués! At IBMH we know that our added value is our team of professionals to give our clients the best possible service in the furniture hardware sector. Our multidisciplinary team of great people is committed to successfully carry out projects from beginning to end, taking care of every single client’s uniqueness and working on building long-term work relationships. There’s a reason for all of this and it is very simple: we cannot pretend to offer our clients in the furniture hardware sector the best possible service if we don’t provide the best possible care. Eduardo first studied Sciences in Tenerife (Spain) and then, while studying Environmental Sciences at La Laguna University (Tenerife), he decided he would start anew in China. With great experience on sales and direct contact with clients, Eduardo loves innovative and integrated design with nature. He also enjoys learning about different subjects while trying to tie them all together with new concepts. Healthy life, sports and travelling are his passions. He’s especially attracted to Japan and Asia. Eduardo is always on the look out for new disciplines, experiences as well as learning new languages so he can become an even more skilled professional. IBMH: Hi there Eduardo, welcome to IBMH and thank you for answering a few questions today! So, how do you feel about living in China? Eduardo Marqués: Hi, thank you for having me here. I’m actually very happy and quite excited. I’m conscious this is a very unique opportunity and I’m ever so thankful for it! IBMH: What was your last position? E. M. : I use to work as a salesman in the street. It is a very harsh and discredited work but you learn ever so much there! I normally dealt with small quantities although I would work with big and small clients. I would normally approach around 200 people every 4 hours and I could get about 2 to 8 contracts signed then, depending on the place or the day. IBMH: Did you know about IBMH and the kind of work we do here, from China? E. M. : No, but I do know they cover a very essential need. I have no doubt that anyone in the furniture and construction hardware who wants to successfully enter the Chinese market will be better off with IBMH! The truth is that when I met Inma Yanes and José Duque (IBMH Sales Manager and CEO respectively), I was enquiring myself about how to do business in Asia. IBMH: What is the main reason why you wanted to work at IBMH? E. M. : Enthusiasm, I suppose… Inma was so enthusiastic when I first approached her on that street and then, the way José shaked hands with me. The way he said “Vamos!” … that “Let’s go!” meant a lot to me. I just loved it! And on top of that, they offered me a new world to discover, the opportunity to grow professionally and personally while working for a company that is continually developing… I mean what else can you ask for? If you think about it, I can’t give you any reason not to work at IBMH! IBMH: What do you think you can bring to this team? E. M. : A way of looking at things differently, passion, initiative and serenity in adverse circumstances… I believe I can give loads to this team. My desire to grow and learn from my workmates to start with! IBMH: Last question. How do you picture IBMH strategic Procurement Management service in the future? What do you think it’ll offer? E. M. : I believe IBMH will always make a difference somehow. I mean it is different from its competitors. I know the kind of service they offer is unique. This is why I feel privileged that they’ve trust me to be part of their crew. It’s taken IBMH time to get where they’re now, leaders in the furniture and construction hardware with the best possible service in the hardware sector. There was a time when the need of procurement management did not exist as such as there was basically no need for it. IBMH’s bet to specialize on this specific industry was a risky one! But hey, as the saying goes: if you don’t take risks, you don’t move up! I mean, in the long run, they know how to deal with competitors and they have built a customer base that trust them more than any other multi-utility companies around. At the end of the day, it’s all about expanding, getting closer to Chinese manufacturers (hardware ones, basically) and watching over our clients’ best interests (hardware importers from all over the world). I’d like to help opening new offices to offer the best possible service in the furniture hardware sector, find new clients and manufacturers in new countries. The thing is that with my previous experience, and following IBMH’s corporate values, I’m confident that I’m going to give the best service to our furniture hardware clients while capturing new ones, and build closer relationships with bigger companies that are looking for a customized service. 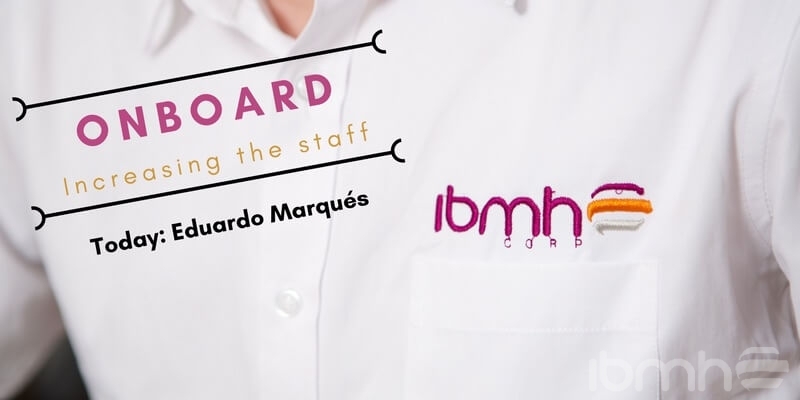 IBMH: Thank you ever so much Eduardo and once again, welcome to IBMH, we’re looking forward to working with you!